There comes a time in every family’s life when you have to reevaluate your finances and tighten your belt. Loss of employment, salary changes due to maternity/paternity leave, debt and overspending can all be reasons. If you have some savings tucked away, it may cushion such a financial strain. However, if not it may be time to take a closer look at your family finances. Prioritize Spending – When money is tight, it’s essential to prioritize and determine what spending is essential and what’s not. For example, groceries for the family is essential, dining out is not. Paying the rent or mortgage is a must, but planning a vacation can wait until next year. Similarly, paying down debt is more important than a family night out at the movies. Ask yourself the golden question: "Do you really need it?" Once you have prioritized your spending, paying for the basics will become easier! Make a Budget – Make a budget of all your monthly expenses, including recurring bills and debt. Be sure to allocate funds for essentials like groceries and rent/mortgage, but if you have debt, try to pay down more than the minimum monthly payment if possible. Give yourself a monthly cash allowance to use for essentials to ensure you don’t spend beyond your means. If you have extra cash left over, create an emergency fund for yourself. Consolidate Debt – If you have a number of outstanding bills from different credit cards companies, you may wish to consolidate all into one card with a lower annual interest rate. Not only will having one monthly bill to pay be easier and less stressful, having a lower interest rate definitely can save you lots of money! Cash or Credit? – If you are able to leave your credit card at home, pay cash only for new purchases. This ensures you don’t overspend and add to existing debt or financial strain. It will also take the stress away from receiving a growing monthly credit card bill! Look for Added Cost-Savings! – Sometimes savings can appear in places you never thought to look. Consolidate you home, life and auto insurance to save hundreds of dollars annually. Or refinance your mortgage to the current 3.19% 5-year fixed/closed interest rate, and save literally thousands of dollars (ING Direct posted rate as of August 23rd, 2012)! The good news about finances is that they’re only temporary, and can be turned around with a little bit of persistence. If you keep a positive outlook during a rough financial time, it really pays off! This article was written by me, Jenna Em, and appears in the Wednesday August 29th, 2012 issue of the Kuklamoo blog. When I was first welcomed into the Kelloogger's Network, I was very excited! 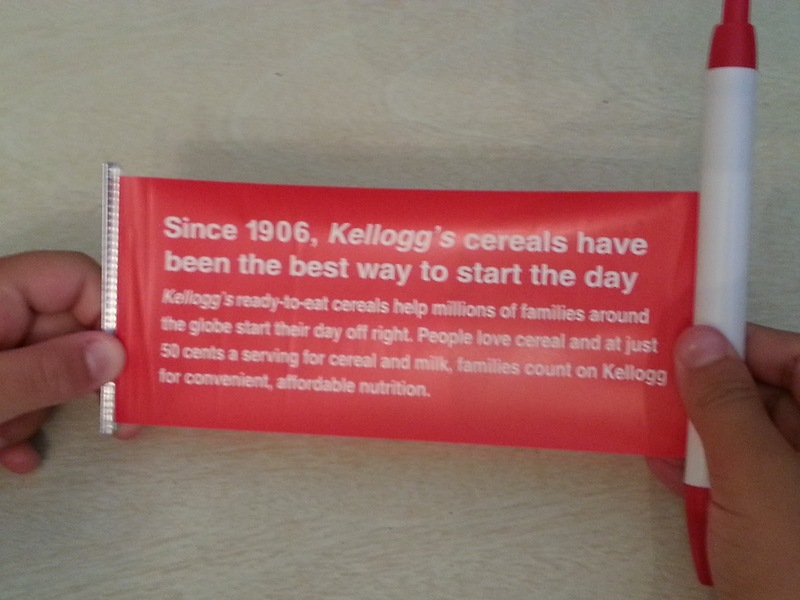 This is because Kellogg's is a name that my family has stood behind for THREE generations. My grandparents have always had Kellogg's Corn Flakes in their pantry for as long as I can remember. And as a child, I fondly recall my grandma making a puzzle out of the front of a Kellogg's Corn Flakes cereal box to entertain me. Good times! Kellogg's Cereals Have Been Around Since 1906! 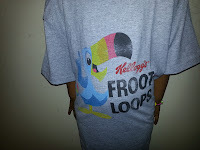 My Family Has Enjoyed Kellogg's For 3 Generations! What makes Kellogg's a winning combination to me, is that their products are tasty, there are many selections, and you can choose a high-nutrition option for your family. I know that I do regularly serve Kellogg's products in my household. Although Kellogg's Corn Flakes and Rice Krispies are old favourites, we have also embraced some of the "newer" varieties into our regular repetoire. The Kellogg's Network welcome kit that I received allowed me to try some new Kellogg's products. There were two different cereals: Krave (chocolate and double chocolate varieties) and Special K Low Fat Granola. 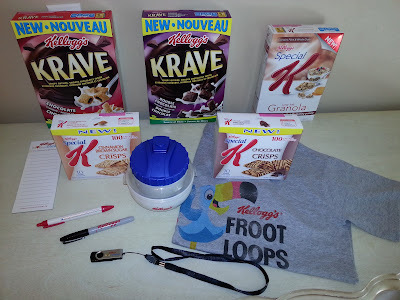 There were also some awesome goodies in the welcome kit such as Special K Crisps (Cinnamon Brown Sugar and Chocolate varieties), a great Fruit Loops tee, a portable cereal and milk bowl (with attached spoon) for the kids to take to school, cool pens, magnetic notepad & a USB stick. Thanks! Toucan Sam Fruit Loops Swag! I have to admit that all Kellogg's products went over extremely well in our household. Specifically, all products were quickly eaten with none left! The first product that I tried out on the kids was Krave Chocolate cereal. They are crisp rectangles loaded with chocolate. I gave the kids a small amount to test out, but soon they asked for a full-sized portion. 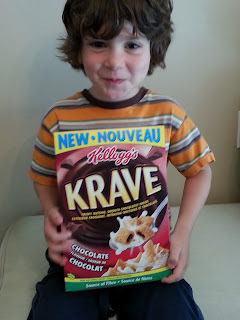 I tried the Krave cereal and it was a big treat! If you love chocolate, then it will give you your fix. Double Chocolate Krave was for the EXTREME chocolate lover! 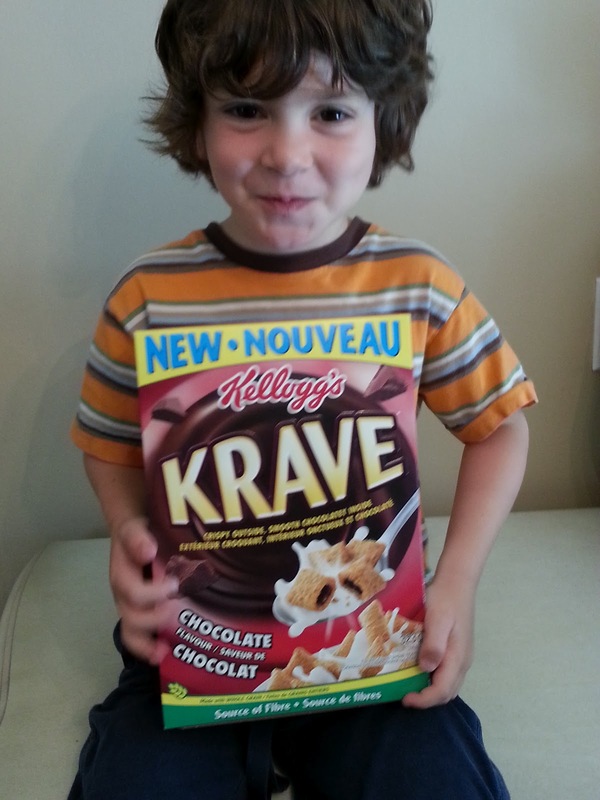 Do You Have a Chocolate "Kraving"? 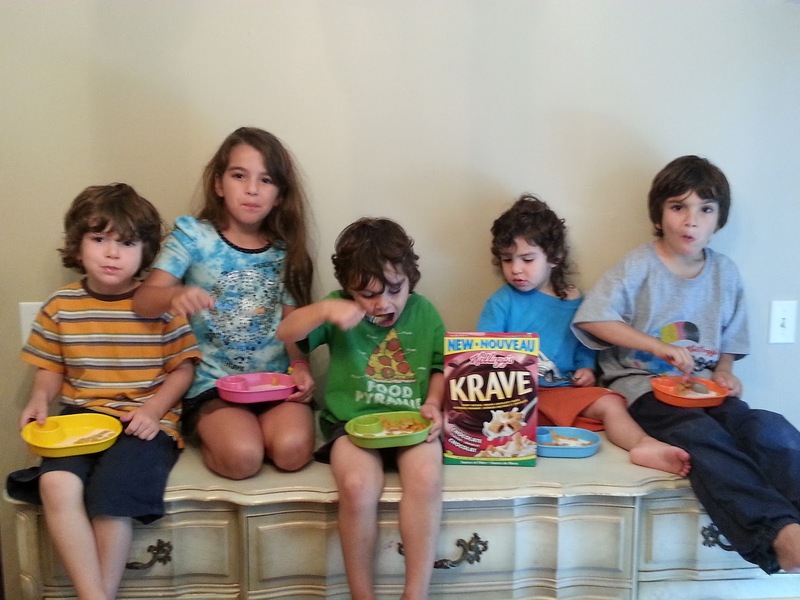 The next day my family tried the Kellogg's Special K Low Fat Granola for breakfast. My husband and I enjoyed this immensely, as did the kids. I liked that the granola had a little taste of honey to add to its sweetness. My kids are used to granola cereals, as my husband eats these regularly. He likes to mix extra nuts, raisins, dried cranberries into his granola, and often stirs lots of yogurt into it and has it as muesli. We would definitely purchase the Kellogg's Special K Low Fat Granola cereal again, as it offers a nutritional level that I am comfortable with for our family. Our family also devoured the Special K Cinnamon Brown Sugar and Chocolate flavour crisps! Each package comes with 5 sealed pouches, with 2 satisfying Crisps per pouch. I found that they were perfect as a snack, and liked that each pouch of 2 Crisps was only 100 calories. The portion-controlled pouches are perfect if you want to watch calorie intake. What favourite cereals did you have as a child? What are your favourites today? What is your favourite Kellogg's products? Have you tried any of the products I have reviewed today? 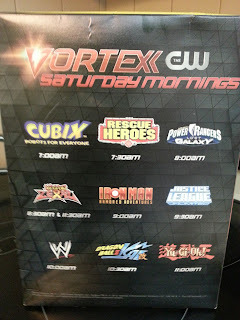 As a Power Rangers emPOWER Moms blogger, I am thrilled to announce the launch of Vortexx, the new kid’s tv programming block, which launches (tomorrow) Saturday, August 25, 2012 on the CW from 7:00am to noon! My kids are excited to spend Saturday morning in their pjs watching Vortexx--and enjoying their Vortexx Breakfast Box! Thanks Saban Brands! Take a look at the new Vortexx line up, below! 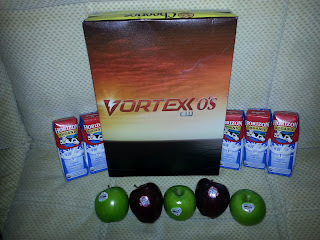 A GINORMOUS Vortexx Breakfast Box Arrived for Our Five Kids! 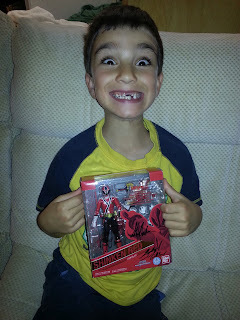 My Son Went Nuts for the AUTOGRAPHED Shinken Red! While Watching Vortexx Saturday Morning Cartoons! 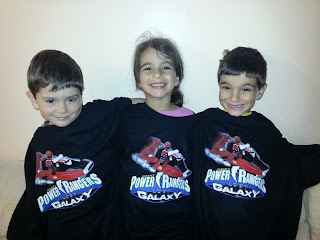 Kids in Power Rangers Galaxy Shirts, Power Up! Lovin' The Wrestle Mania & Iron Man 2 Swag! 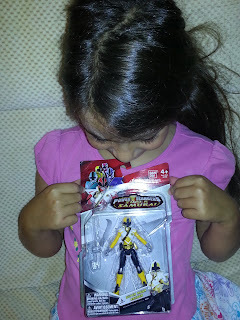 Someone Claimed the Super Mega Ranger for Herself! 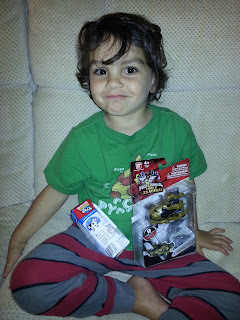 A Box of Milk & Morphin Vehicle Make for Happy Times! 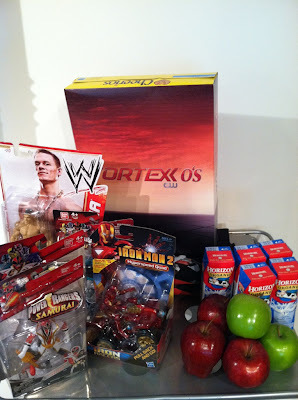 In honour of the Saban Brands new Saturday morning Vortexx cartoon line up, I will be giving away a Vortexx Breakfast Box to one lucky winner (prize/quantity may vary from photos)! Contest is open to both Canada and the US. Contest runs Friday August 24th to Tuesday August 28th, 2012 @8:00pm EST. 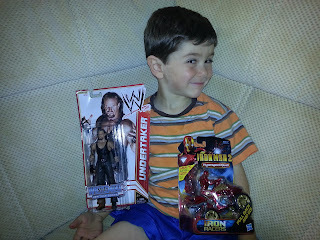 Winners will be announced on this blog on Wednesday August 29th or sooner. Saban Brands will ship the winner the prize pack directly. Important: Please leave a way for us to contact you in case you are a winner! E-mail address, Twitter id, etc. Do NOT leave your mailing address or phone #! When you comment below, it is NOT automatically attached to your contact information. Comment in this blog post below & state which Vortexx show(s) you or your child are the most excited for, and why! Extra entries for sharing this contest on Facebook or Twitter, with links back to this page (include hyperlink for entry to be valid, account must not be private in order to verify bonus entry). GOOD LUCK! 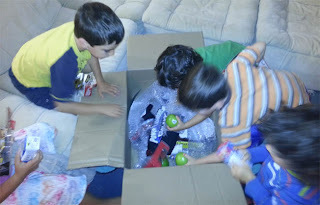 Thank you to Saban Brands for sending our kids a GINORMOUS Vortex Breakfast Box of Saban Brand toys (for all 5 kids), t-shirts, Vortexx-branded Cheerios cereal, organic milk boxes & fresh apples! If you shop regularly at the Dollar Store, you’ll know that there are some great deals out there. Although some items on this list may not be at your particular Dollar Store, many of them will be. Save dollars at a time when you shop items from this list! 1. Batteries – One of my favourite Dollar Store purchases is packs of batteries. 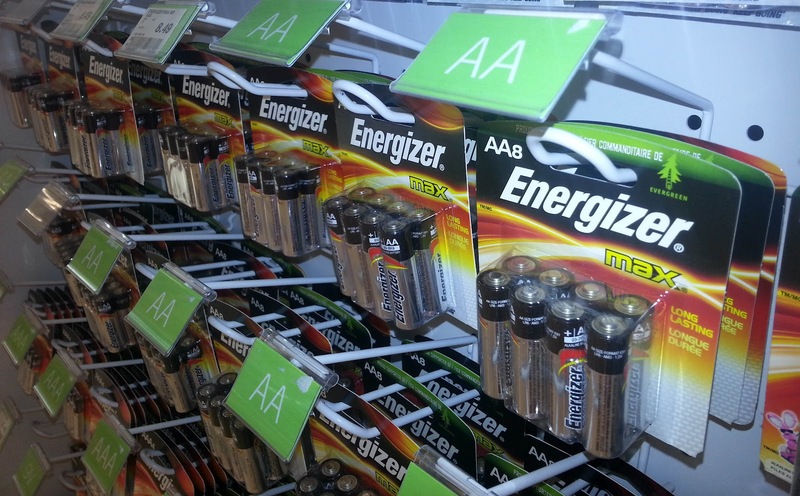 For $1, you can buy 4 packs of batteries in various sizes. I buy an arsenal of AA batteries at each visit to keep my kids’ numerous toys fueled and running! Compare at 4 times more! 2. 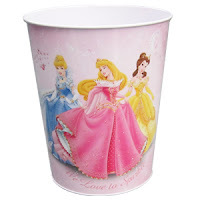 Licensed Disney items – Dollar Stores like Dollarama carry LOTS of licensed Walt Disney items for $1 to $2. 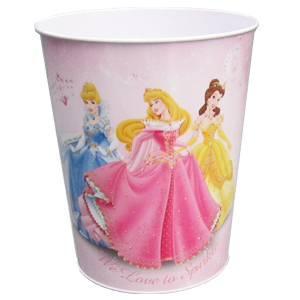 Some items include kids’ Disney Princess and Toy Story flip flops, metal Cars 2 and Disney Fairies waste baskets and juvenile underwear. 3. Licensed Kids’ Greeting Cards – You can buy great licensed greeting cards at the Dollar Store! Buy Littlest Pet Shop and Transformers themed birthday cards for only $1! 4. Party Supplies! – At only $1 for plates, cutlery, napkins, wrapping paper and gift bags, how can you go wrong? 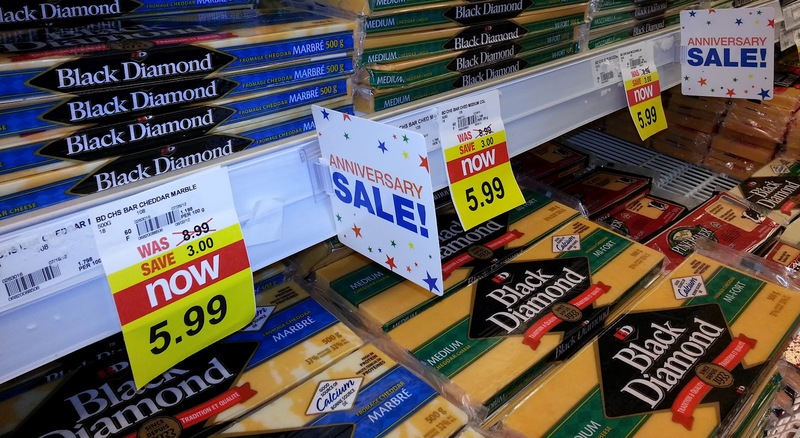 You’ll pay 4 times higher at a party specialty store! 5. Seasonal Kids’ Items – How can you go wrong with a child’s pail, shovel and rake beach package for only $1? You can pair it with a great swimsuit for only $2! 6. Snacks! – Chocolate bars at the Dollar Store are a great deal at .50₵ to .67₵ each! My kids found a great generic Nutella hazelnut spread for only $1. Doritos chips and Smartfood popcorn regularly sell at about half the usual price. 7. Magic Erasers – If you use Mr. Clean Magic Erasers to get crayons off your walls, then you’ll love the generic brand for only $1 per 3-pack. They really do the same job. The brand name sell for over $4—and you only get a 2-pack! 8. Pregnancy Tests – Although I don’t recommend these as I find them to be unreliable, yes, pregnancy tests can be purchased at $1 per stick. Buyer beware. 9. Underwear! – The Dollar Store has a decent underwear aisle for women and juniors. The kids’ undies are usually 100% cotton, and can be purchased with licensed characters like Strawberry Shortcake and Sesame Street. All for $1! 10. School Supplies – School supplies at the Dollar Store are inexpensive all year long! Notebooks, glue sticks, tape, rulers, pencils, pens, markers, pencil cases, post-it notes, lunch bags, water bottles, freezer packs and more! And only $1 per item! Do you shop the Dollar Store? What are the best items you have found? We welcome your comments! This article was written by me, Jenna Em, and was published in the Wednesday August 15th, 2012 issue of the Kuklamoo Blog. 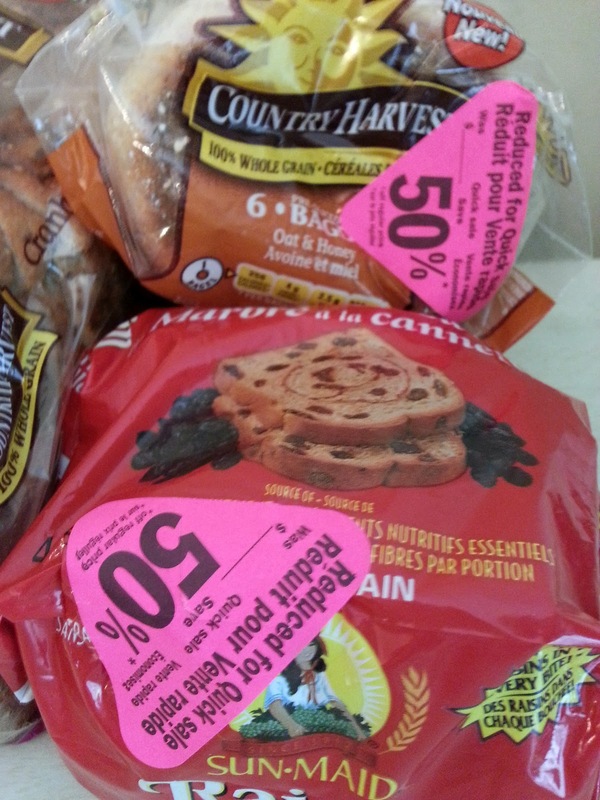 Saving Money Strategically on Groceries, Part 2 of 2! Price Matching is Marvellous! – If a participating merchant has the identical product (as appears in a competitor’s flyer), but at a higher price, you can request a “price match”— and you will be given the sale price from the other store! Price matching is a fabulous way to save money, but it requires that you show the cashier the competitor’s (current) flyer that advertises a lower price. 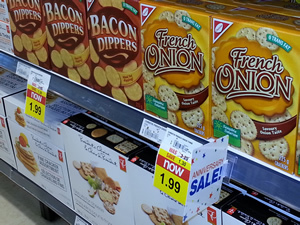 Some stores that price match include Superstore, No Frills and Fresh Co. Wal-Mart and Zellers, to name just a few. 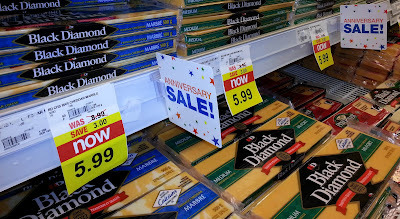 Stock Up – Wait for a great sale and then stock up for the next 3 to 6 months! This works well for soups, pasta, tomato sauce, canned veggies, beverages, Kleenex, toilet paper, laundry detergent and other non-perishable items. Meats and poultry can also be frozen for the same timeframe, or longer! If you have a chest freezer or deep freezer, you will have some really nice savings! Go Generic – Purchase generic or store brand products instead of brand name to save $1 or more per product. Some such generic products include sugar, flour, bread, pasta, tomato sauce, ketchup, frozen food and more. You really do pay much more for brand products, even if all is the same except for the packaging. It’s what’s inside that counts, so save your money! Farm Share – Do you have a farm close to you? If so, a farm store or farmer’s market is a good way to save money on fruits, veggies, eggs, milk and other dairy, meats and poultry. Or, if you are lucky enough to have a “Farm Share” programme nearby, you may also be able to save on the basics, such as veggies and seasonal fruit (“Meat Share” and “Egg Share” may also be offered). Farm Share works quite simply, in that you buy a “share” from a local farm, for which you receive a weekly box of seasonal produce throughout the farming season. Back your local farmer via Community Supported Agriculture (CSA), and you could save on your grocery bill! With a little bit of strategizing, it really is easy to save money on your grocery bill. 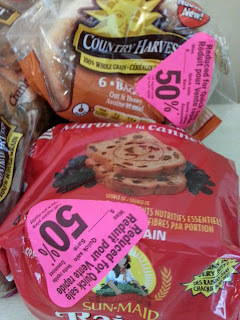 Do you prefer to use coupons, price match, shop sales comparatively or stock up on the weekly specials in order to save? Well, that’s food for thought! I’d love to hear your comments below. 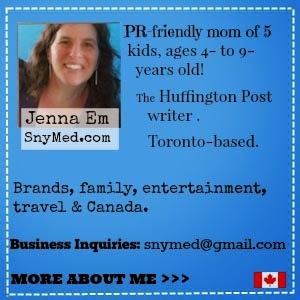 This article was written by me, Jenna Em, and appears in the Wednesday August 8th 2012 issue of the Kuklamoo blog.